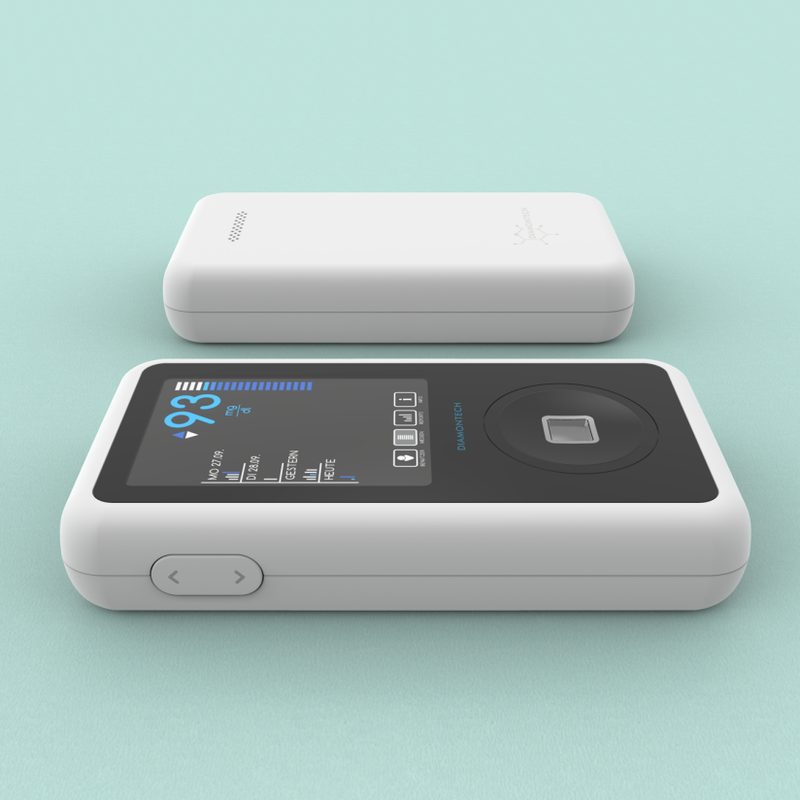 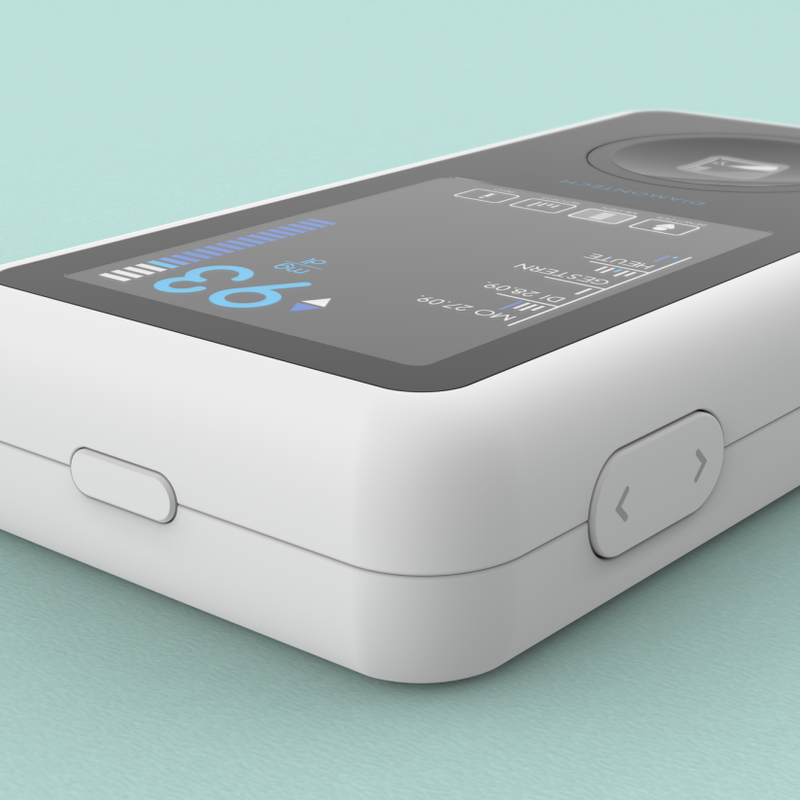 DiaMonTech has developed an innovative, non-invasive method for reading the blood glucose. 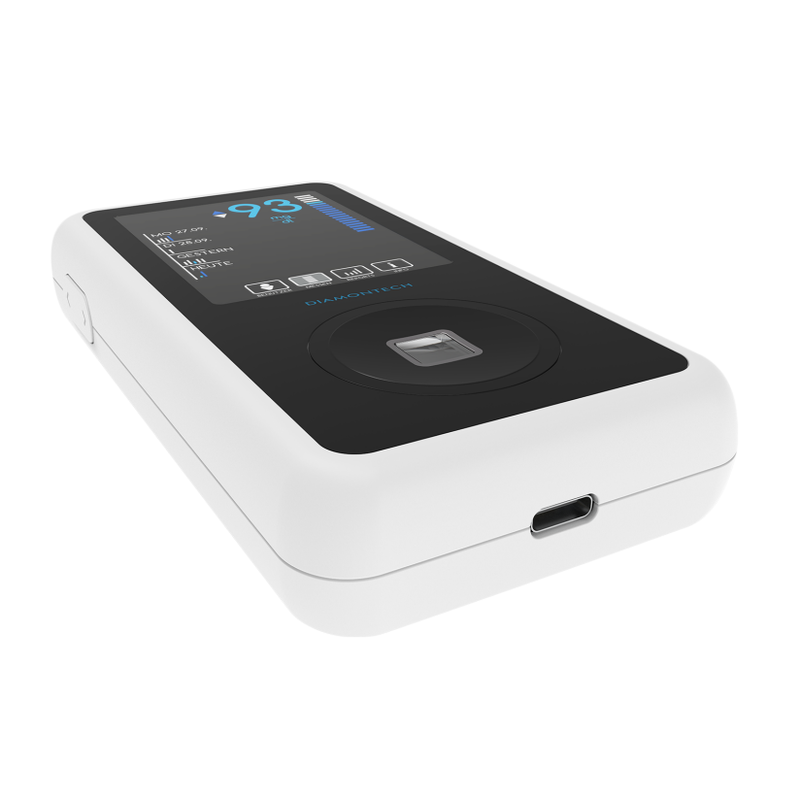 The sensor technology can read the glucose levels with a method called photothermal detection where a light beam interacts with the glucose and it emits heat. 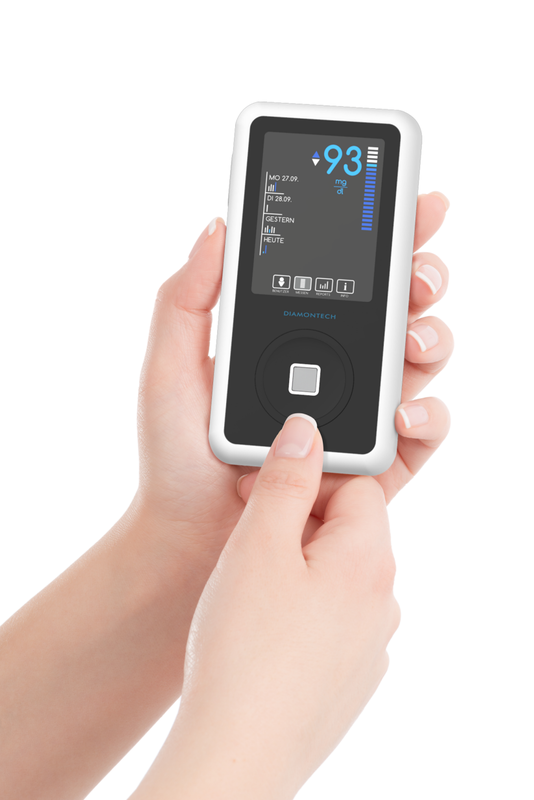 The temperature change allows the device to give precise information about the blood sugar levels. 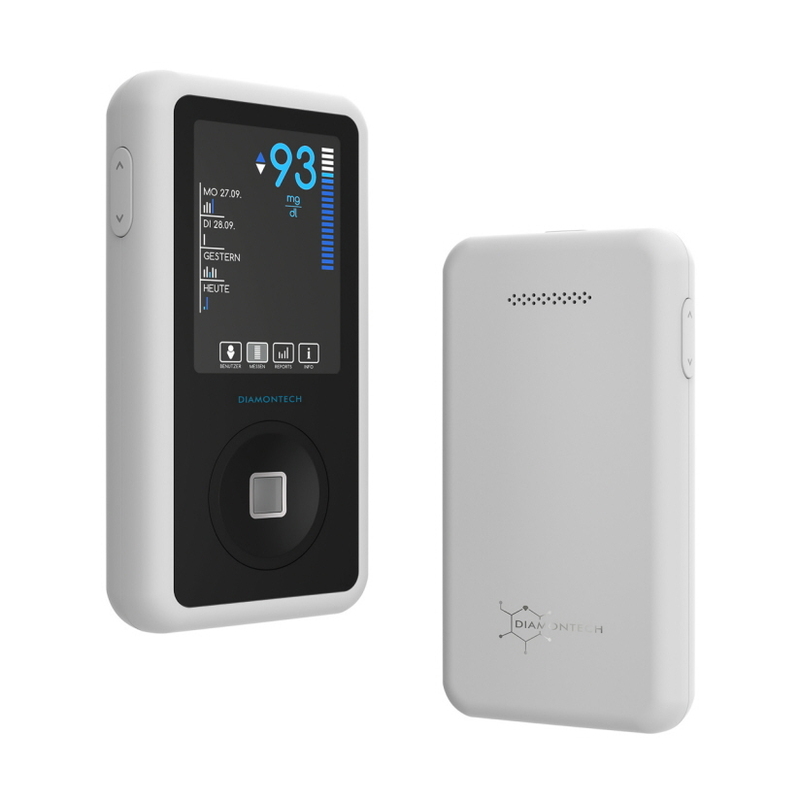 We at Evolvero have designed the enclosure and the UI interface.